A great deal of cancer treatment research focuses on artificial means, but some foods may naturally have anti cancer properties. Some medical studies have shown that certain food groups greatly reduce the risk of cancer, and they might even halt the growth of cancer that is already occurring. Though a healthy diet is no substitute for medical treatment if you do have cancer, eating these foods can definitely provide a boost of support in the fight against cancer. Garlic has repeatedly been shown to be one of the most useful anti-cancer foods. Though doctors are not quite sure of how it works, garlic seems to inhibit the growth of cancer and precancerous cells. This effect was particularly noticeable in the gastrointestinal tract, so garlic is very useful at fighting against stomach, colon, and esophagus cancer. Garlic also has antioxidant properties that neutralize the free radicals that might otherwise damage cells and make them become cancerous. Other foods that are part of the same plant family as garlic, such as leeks and onions, are also beneficial. 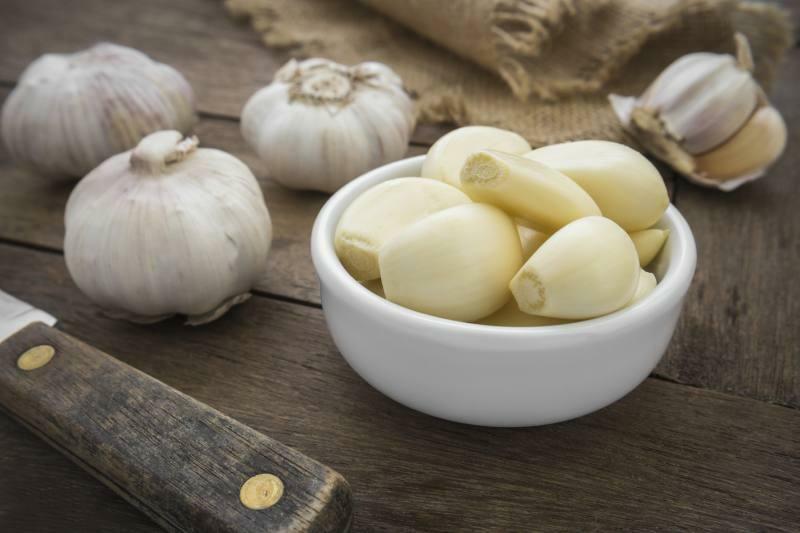 Eating just one clove of garlic each day may greatly reduce cancer risks.